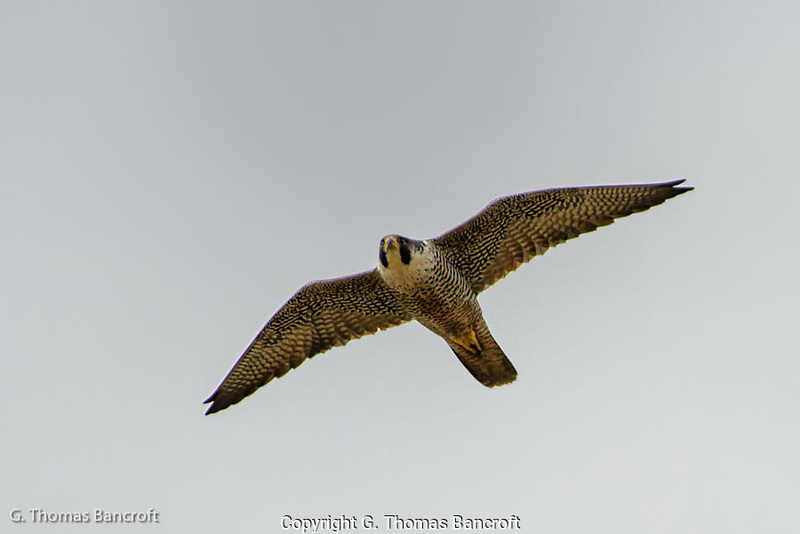 The Peregrine Falcon swooped in across the field where a small flock of ducks were feeding. The ducks took flight and the falcon flew on to a tree on the other side of the field. The grace and agility of this magnificient bird was awsome.